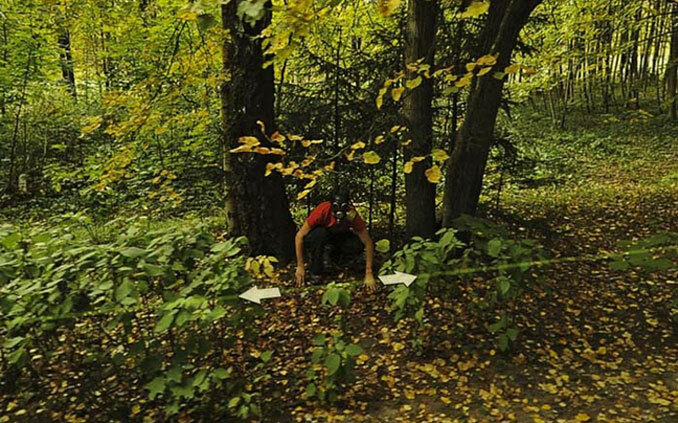 From a trail cam photo of a mysterious UFO landing in the woods to a group of real life Smurfs strolling through the forest, we look at the 10 strangest things ever found in the woods. This photo and the one below it were uploaded to Imgur in January, 2015. 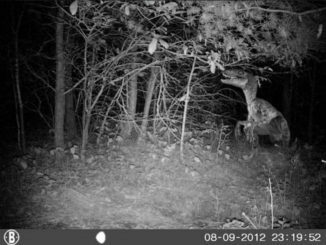 The images were taken on a trail camera and said to be captured within seconds of each other. 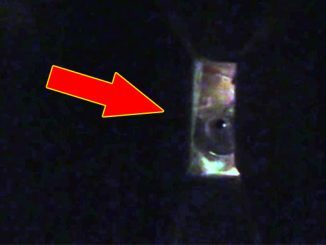 The first photo seems to show a dark, disk shaped object surrounded by glowing white light hovering close to the ground. 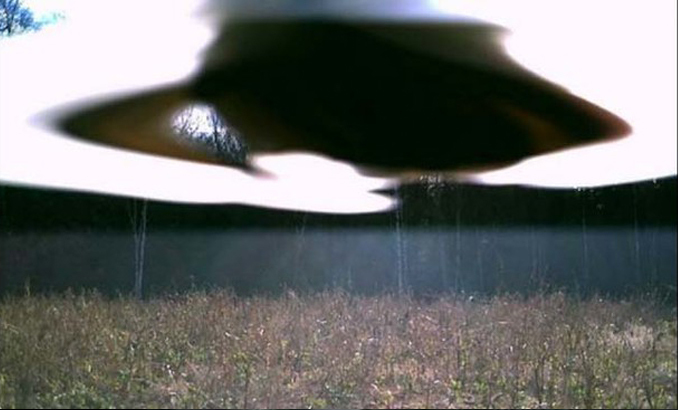 The second, captured just seconds later, shows a strange humanoid creature standing in the middle of the field. This time the sky is clearly visible and the bright light and disc shaped object are gone. 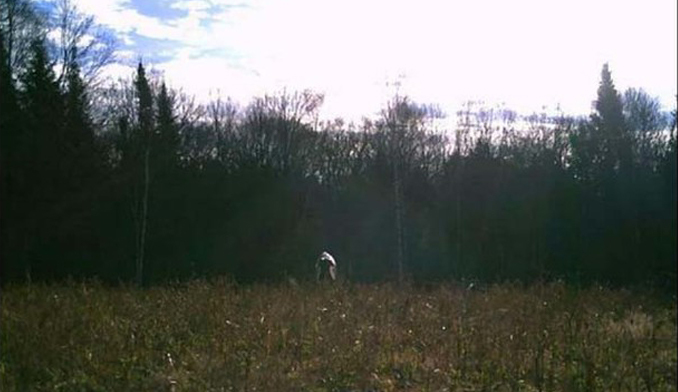 Has this trail camera captured a UFO landing in this clearing among the woods? If so, what is the strange creature starring ominously towards the camera? Something from our world or another place entirely? While out hiking in the woods of northern Germany, two friends noticed several large pipes protruding from the ground. Curious, they decided to investigate further. They discovered a doorway hidden behind several bushes, covered by a large wooden lid. They decided to see where the doorway lead. 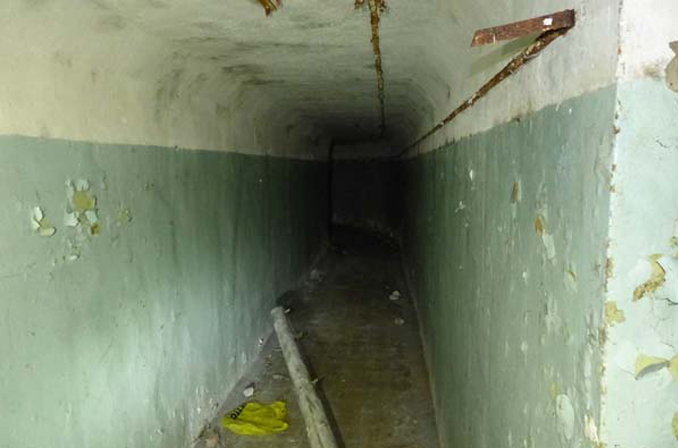 To their amazement they had discovered a huge, disused army bunker. The floor was now inches deep in water and the whole place began to smell of sewerage. Finally, they made their way into a very large room with a strange machine in the centre. It looked like the previous occupants had fled the bunker in a hurry as their was a single shoe still stuck in the sludge on the floor. As they continued, the rooms deteriorated and the pipework became ever more corroded. Eventually, the rooms were filled with so much water that the pair had to abandon their investigation and return to the surface. The structure was believed to be an old military bunker. Possibly used for shelter by the Nazi’s during World War II. But why did the soldiers seemingly leave in such a hurry? Were they the ones that had written the warning messages on the walls? 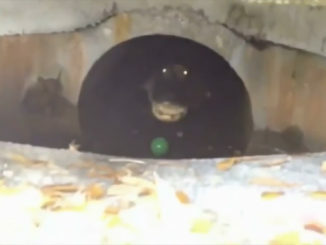 Or was it possible that someone else had discovered the bunker and was still lurking somewhere within its foul depths? 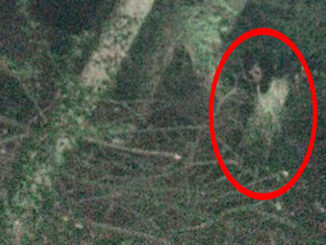 In October, 2017, several teenagers spotted this creature in the woods outside of Corrientes, Argentina. The terrified teens quickly alerted the police who showed up a short time later. This photo was reportedly taken by one of the attending officers. 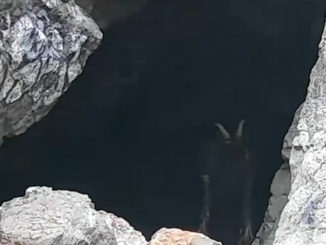 It shows a tall, gaunt looking creature with long, thin limbs and large black eyes. The police officers were said to have chased the beast towards a nearby river where they eventually lost sight of it. When the photo appeared in several newspapers many people were quick to claim that the creature was in fact an alien. Well known conspiracist Terry Larch even said: ‘This photograph is incredible and may be the best evidence of aliens living among us yet.’ He added that he thought the shape of the creature resembled that traditionally associated with an extraterrestrial, like those seen in movies and drawings. What was the mysterious beast that these teenagers and police officers witnessed in the forests of Argentina? Was it an Alien or something else entirely? 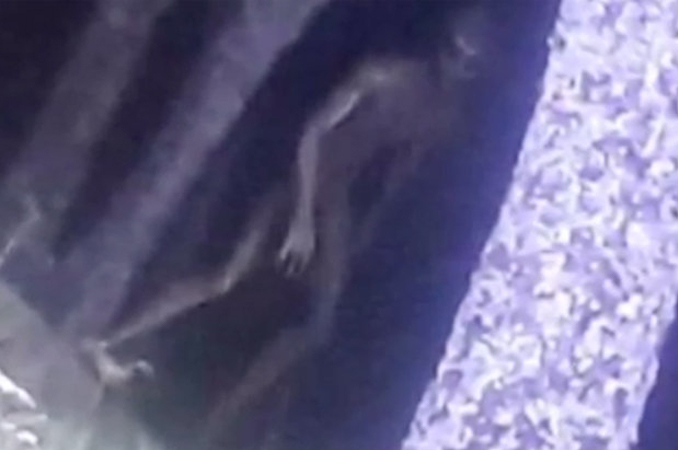 This unsettling photo was captured on Google Street View. It shows a man wearing a gas mask crouched among the trees on the side of a country road. 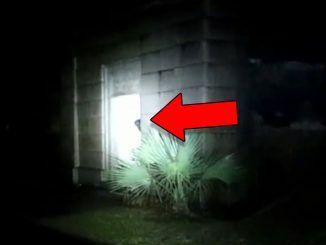 Did the Google cameras capture something sinister taking place? Was the masked man hiding among the bushes, waiting for a lone bush walker to to pass by and then drag them to their doom? Or could this image simply be a hoax? Was the man just waiting for the Street View camera to pass? what do you think is going on in this photo? This video was taken in the woods near Bridgeport, West Virginia by a man who was doing a spot of night fishing in the local river. 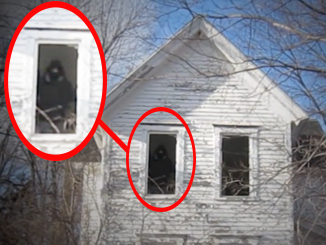 When the man hears some strange noises coming from the distance, he grabs his phone and starts recording. Suddenly, he shines his flashlight on a mysterious figure coming towards him. 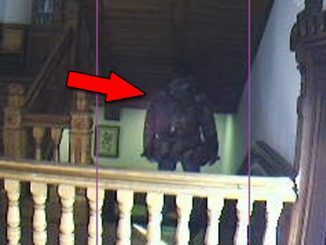 The figure is dressed in a long black cloak and is wearing a sinister looking clown mask. 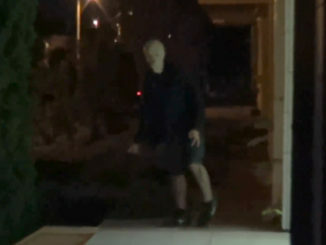 The man stops recording and runs to the safety of his car which is parked nearby. When he is inside, he begins recording with his phone once more. The clown has followed the man all the way back to his car and is just standing on the other side of the fence, starring with an empty gaze. What on Earth was a clown doing in the woods in the middle of the night? 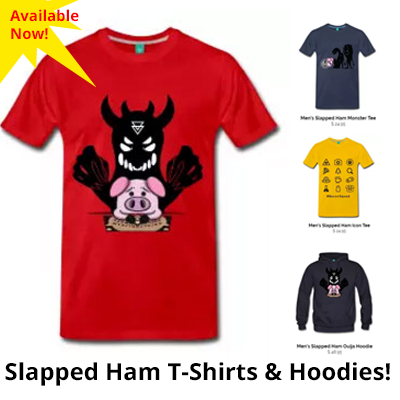 This footage is unsettling to say the least and it certainly has the makings of pure nightmare fuel.